There's just something special about a zoo walk together among exotic animals and surrounded by the beauty of nature. Find a local zoo near you using the zoo directory by entering your zip code at the bottom. Even if you have to travel a little, a zoo walk with your sweetheart is worth the trip. Most major cities have amazing zoos. Check the weather forecast for rain a few days before your walk since it may not be as romantic to carry raincoats and umbrellas or getting soaked in the rain. 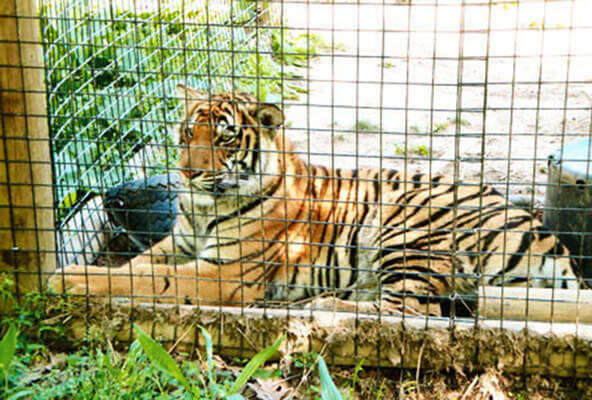 Plan on spending at least a few hours there since most zoos are large. Get there early so there's no rush to see everything before closing. Call the zoo in advance and ask about their policy of bringing food inside. Many zoos have picnic areas right outside the gate. Pack some simple foods like sandwiches or fried chicken in a cooler and have a romantic picnic lunch. During your walk, see if you can spot an animal that you have never seen before or knew existed. Spend some time reading the information signs next to the animals and you'll learn something new. 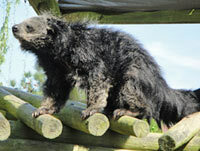 On our last trip to the zoo, we saw a binturong for the very first time. You might stop along the way for some ice cream and sit close to each other while you snack, or share some popcorn while walking through your animal adventure. A small backpack is also very helpful to carry along a picnic blanket, water, and a camera. You can rest from walking with a blanket on the grass under a tree. Enjoy the relaxed day with your loved one. Sit and talk for a little while or look at the zoo map together to see what other areas you'd like to explore. Be sure to take photos of the two of you together amidst the unique backgrounds a zoo walk provides. Many zoos have some breathtaking trees, plants, or waterfalls in addition to the wildlife that make a great backdrop for couples' photos. Try to include photos of one or both of you feeding or petting the animals up close. Preferably, ask someone to take your photo so you can both be in the shot. If you don't already know, find out what your beloved's favorite animal is and buy a small plush version at the gift shop on the way out. 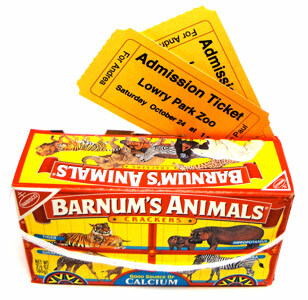 A great way to present the zoo walk idea and surprise your beloved is to use the admission ticket craft with the animal crackers box. This creates anticipation of the event and makes your romantic day of walking hand-in-hand even more enjoyable. This durable blanket is water-resistant to lay on damp ground. Opens to 5 ft. by 5 ft. and folds compactly into the sewn-in insert with a detachable strap.